A bar stool with backrest can be unimaginably comfortable and is ideal for the home bar or the high kitchen counter, where the morning coffee is stylishly drunk. The Fiber bar stool with backrest ensures maximum comfort and seamlessly fits into any environment offering a modern touch to the kitchen and dining room. The bar stool with backrest belongs to the Fiber series of chairs and stools designed by Iskos Berlin for Muuto. The bar stool is made up of a four-legged frame made from oak wood featuring a stainless steel footrest. The ergonomically shaped seat shell is made from a mixture of plastic and 25% wood fibre which is optionally available with a leather cover of various colours. 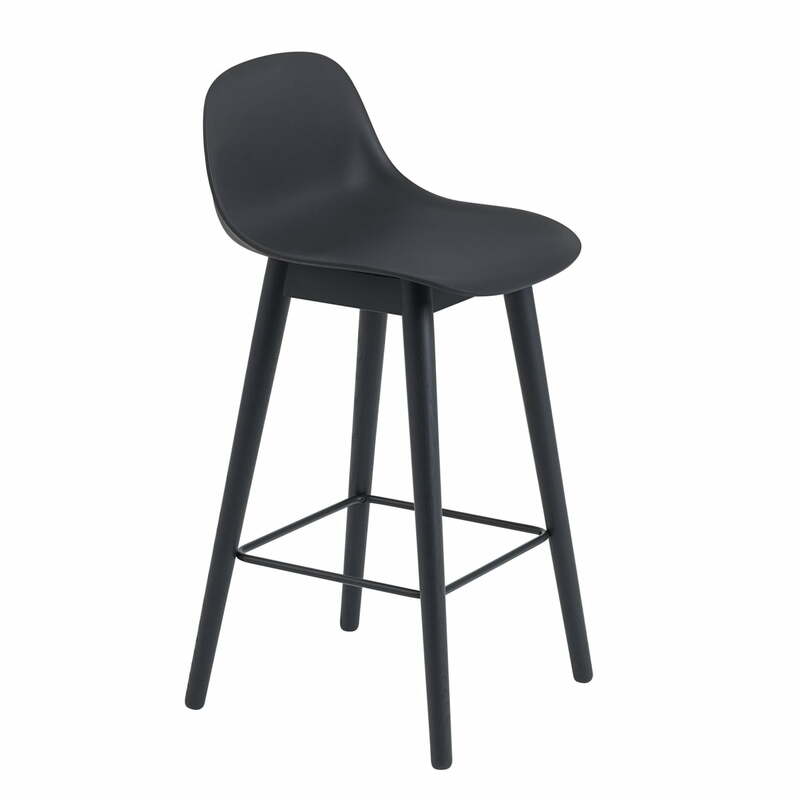 The minimalist shape and timeless appearance gives the stool an eye-catching quality in any interior and is also suitable for public bars or restaurants. The stool is available with a wooden or metal base, in different heights and colours as well as with or without a backrest. The Fiber bar stool with backrest / wood base H65 by Muuto consists of a frame made from natural oak wood and a seat shell covered with cognac-coloured leather. The Fiber bar stool / wood base H65 by Muuto consists of a frame made from black powder-coated tubular steel and a black seat shell made from plastic with 25% wood fibres. 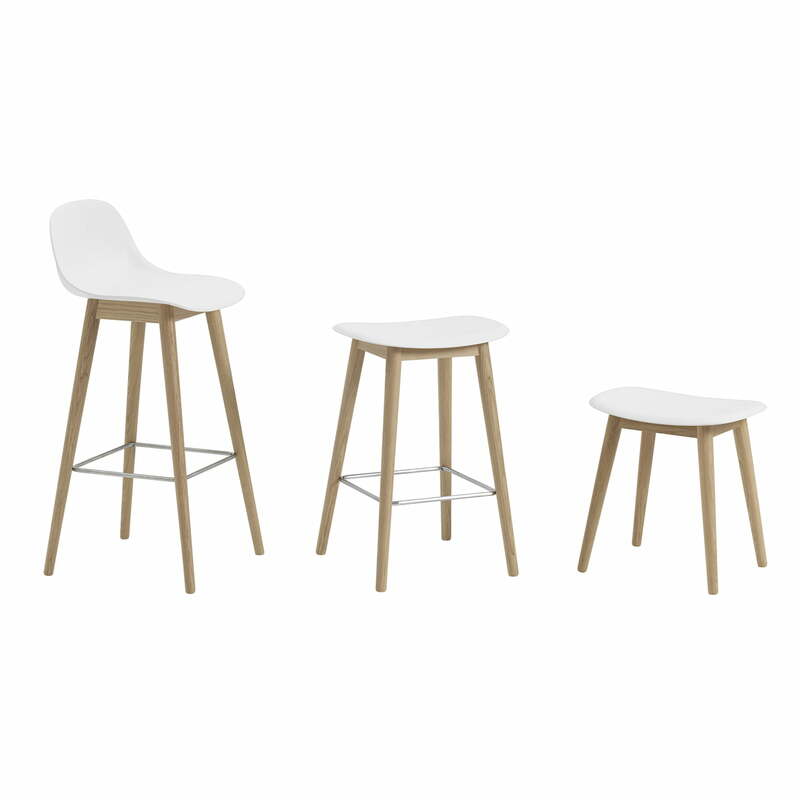 Group product image: The stool from the Fiber series by Muuto are available with a wooden frame. The stool is available in various sizes and optionally with a backrest. 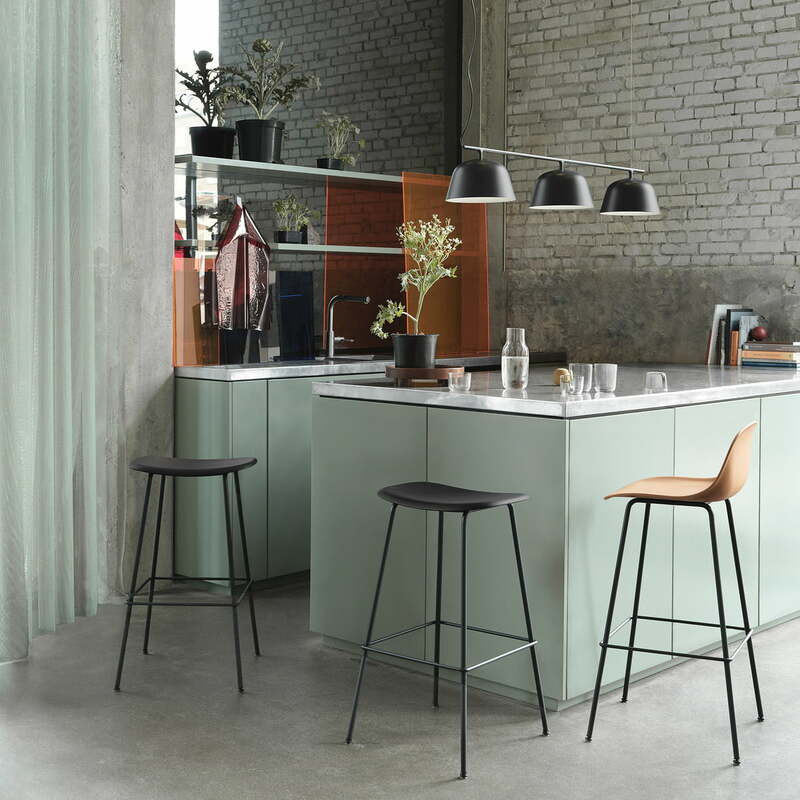 Lifestyle product image of the Fiber stools: The minimalist stools looks great in the kitchen at home, but are also real eye-catchers in a stylish bar or a hotel lobby.